Six Neighbours Entering. 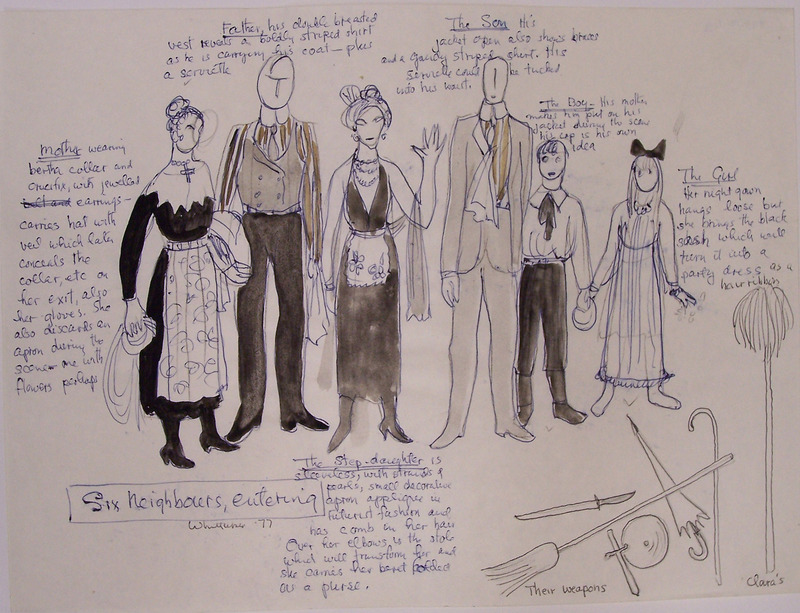 Characters of various ages outfitted in household clothes with weapons. Identified as Mother, Father, the Stepdaughter, the Son, the Boy, and the Girl.